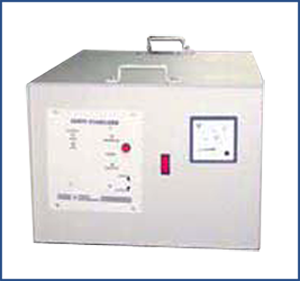 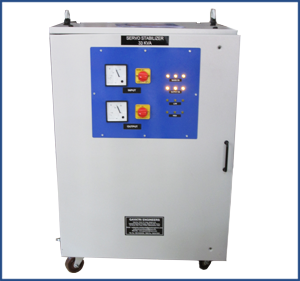 Servo Voltage Stabilizers are used in industry for a variety of machines to perform better at stabilized voltages. 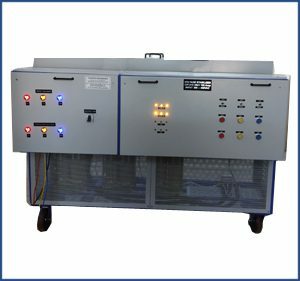 Many CNC machines / Computerised machines / medical- surgical machines, etc. 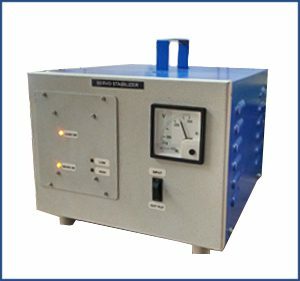 require voltage accuracy as well as stability. 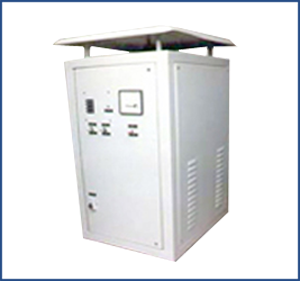 Stabilizers ranging from 1 KVA to 600 KVA are made as per customer requirement. 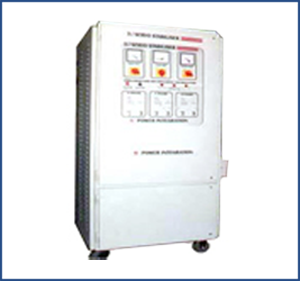 At higher ranges, the stabilizers are OIL Cooled. 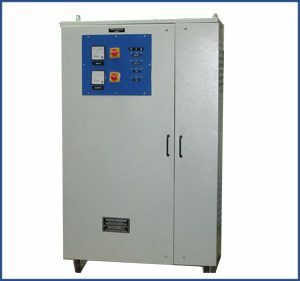 Output: 415 V +/- 1 %, suitable for Unbalance Line and Load variations.